Investing in oil and gas stocks has the potential to be a roller coaster ride and is not for the faint hearted... even at the best of times. For many small exploration companies, it’s oil or bust with an all-or-nothing approach to doing business. Then there is the well to consider. More often than not it’s an absolute gusher, a duster, or it brings up formation water. Add to that the plethora of technical, socio-political, and market risks inherent in the oil and gas exploration game and you have yourself one heck of a time trying to sort the wheat from the chaff in the oil and gas game. However, the rewards are immense if you get in on the ground floor with small cap oil and gas stocks often rocketing up the sharemarket at the rate of knots. 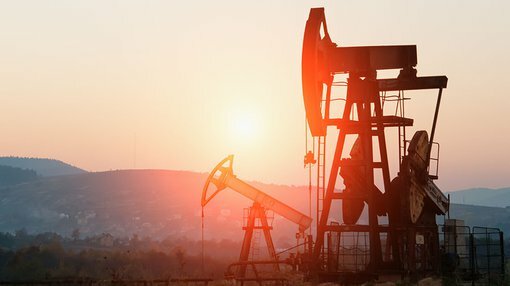 Empires have been built and fallen on oil discoveries in the past if you can tap into its transformative effect – but there are some things to keep a lookout for when analysing a prospective oil and gas buy. In this weekly series, Finfeed looks at five of the most important things you should examine when on the prowl for your next oil and gas investment, but by no means is this the end of it. The first thing you have to figure out is whether you want to be in the oil and gas game in the first place. Undoubtedly you would have read tomes on the falling oil price last year, and while you may not always feel it at the bowser, the oil price did drop alarmingly in recent times. It is worth taking a look at what caused the oil price plunge to try and figure out whether the problems are fundamental or temporary. Around October of 2016, the Organisation of Petroleum Exporting Countries (OPEC) was looking at the North American shale gas revolution with revulsion. In the US in particular, recent years have been characterised by an exploration and production renaissance driven by the economic recovery of oil and gas from previously unreachable oil thanks to hydraulic fracturing (or fracking). The revolution was being driven by high natural gas prices in the US reaching as high as $14/MMbtu. To that point, hydraulic fracturing was technically feasible but ludicrously expensive to conduct. The beauty of hydraulic fracturing is that application of the technology could open up previously ‘tight’ gas contained in rocks kilometres below the surface of the earth that were simply too hard to break using conventional techniques. 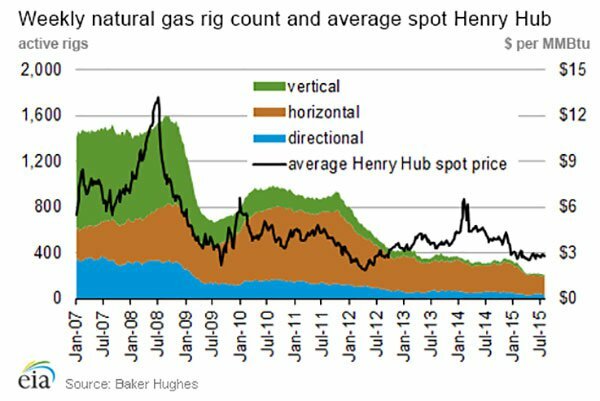 As you can see in the chart above, explorers rushed to use the technology to get all the gas they could as the price supported the fracking. The price went down because of an oversupply, but as more and more fracking took place the cheaper and cheaper it became because of scale. Faced with a dwindling gas price, explorers in the US turned their attention to oil instead of gas – and OPEC didn’t like that one bit. All of a sudden, OPEC was facing a potential competitor on international oil markets as the unconventional reserves of oil in the US were huge and it had all the fracking technology lying around from the gas boom. OPEC as an organisation is responsible for setting the production quota for about 30 million barrels of oil per day from its 12 member nations. This has been a way to leverage the price it gets for its reserves on the global market. Each meeting of OPEC has the potential to send shockwaves through global markets, as the decision to either increase or decrease supply is watched closely. About mid-way through 2014, rumblings were rife that OPEC would do nothing to arrest a looming oversupply on the world oil market. The US was importing less because it was producing at home, so the OPEC oil was finding its way to other markets and there was already downward pressure on the international oil price. You would think that the obvious solution for OPEC would be to cut supply, create a shortage on the market and ensure that the oil price remained strong at above $100 per barrel. However, it did the exact opposite. In a Vienna meeting of OPEC held in November last year, it took the decision to in effect do nothing and keep on pumping oil onto world markets, prolonging the oil oversupply. 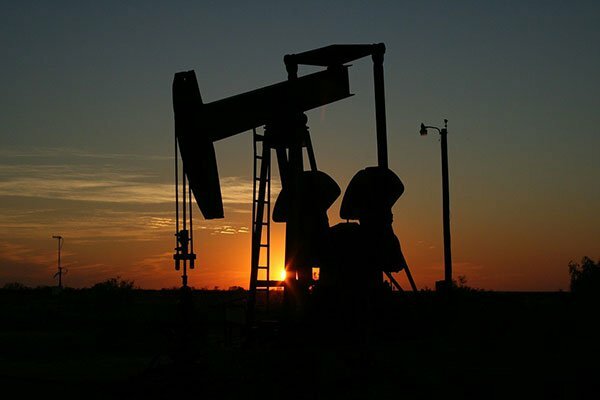 The price of oil collapsed almost overnight, hitting oil and gas companies and sending shockwaves through the market. OPEC’s thinking was that it could essentially play a game of chicken with US producers and that it was in a better place to survive in a low-cost environment than the private companies of the US. OPEC was hoping that the US producers would blink and choke back oil production, and prices would start heading toward $100 per barrel again. Prices have recovered, but not significantly. While oil and gas stocks were hit by the proxy war, it created an environment where companies are sitting on enormous reserves of oil and gas with their share price at collapsed levels. The canny buyer may consider buying into oil and gas stocks with big reserves in order to profit when the oil price goes back up, but the cautious investor may consider that the oil price may still fall again. Whether you invest in oil and gas stocks needs to be informed by the global view on oil prices, which is changing all the time. In part 2 of this series, Finfeed.com what to look for in a prospective oil and gas company.